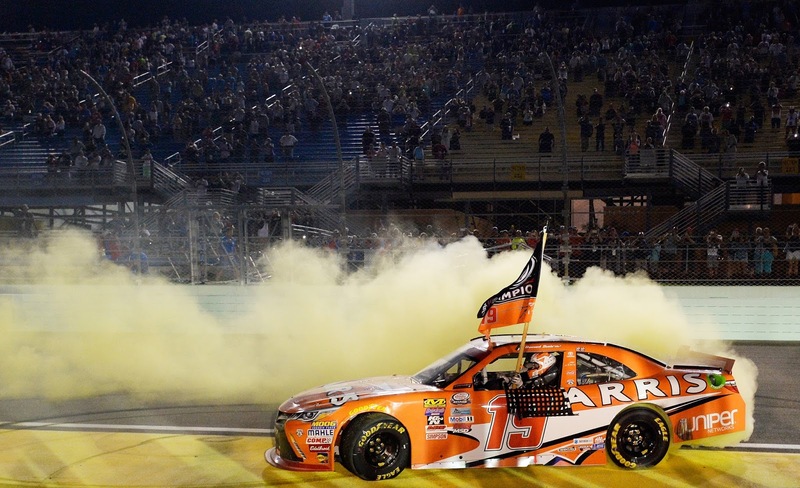 HOMESTEAD, Fla. – Consistency, focus, and an incredible start were just some factors that helped Daniel Suarez claim the 2016 NASCAR Xfinity Series championship at Homestead-Miami Speedway on Saturday, Nov. 19. Leading the race at the beginning for 22 laps straight, Suarez stayed consistent with his driving, and continued leading with a grand total of 133 laps and ultimately winning the Ford EcoBoost 300 Xfinity series. Suarez was able to beat Justin Allgaier who stayed in a close second for the first half of the race, as well as winning over Elliott Sadler, a seasoned veteran of the sport, and last year’s Rookie of the Year, Erik Jones. Daniel Suarez is the first ever international champion in NASCAR racing. The 24 year old from Monterrey, Mexico made history today when he won the title, especially in the last five laps. Winning this championship was all the more meaningful with Suarez’s family by his side. Suarez is part of the Joe Gibbs Racing team, and he has started a total of 67 races in the past three years, with third wins, 26 top-5, and 46 top-10 showings. Coach Gibbs also emphasized how important this win is for NASCAR. The Ford EcoBoost 300 Xfinity Series race was the continuation of an exciting weekend of races that will all culminate into Sunday’s Ford EcoBoost 400 Sprint Cup Series race at 2:30 PM.